I purchased a puppy from a dog breeder for the first time in January. But prior to that the last puppy came into my life because a local rescue called me asking me to “rescue” a puppy from Craigslist. That actually meant I ended up buying this “purebred” puppy, but with all intentions of adopting the little puppy out. Prior to that my other Shih Tzus came from no kill rescues… and before that the first puppy I adopted was from Best Friends Pet Sanctuary in Kanab, Utah. She was 5 months. Why am I telling you this? Because I want you to understand what you may be getting… a lifetime (dogs) of happiness, because it doesn’t matter whether or not the dog has AKC papers or not. I would rate a shelter as the first place to look for a puppy or dog. Shelters usually have a set time limit that the dogs are there and then… well there is a high euthanasia rate in this country of perfectly good dogs & puppies. And believe it or not there are a lot of purebred dogs at shelters. Some arrive there because owners moved and couldn’t take the dog, some dogs became lost and were not microchipped and a lot end up there because dog owners thought it would be good for their dog to have just one (1) litter. The only con I may have with a shelter dog is the fact you may have to do a little more training because more than likely if you picked out a 6 month old puppy or 1-year-old dog they haven’t been properly trained. But if you are a responsible pet owner, as I hope you are you will seek out a wonderful trainer and get your new dog on the right path! Then that little dog that was once sitting on death row is now a happy healthy perfect addition to your family and you will wonder how you ever got a long without him. If ever there were angels on earth I would have to say those angels are those that work tirelessly day in and day out rescuing animals from shelters. Most are volunteers and foster the dogs and puppies out of their homes. What I love about rescues is that you may be able to learn more about a dog’s personality because that dog lives with its foster family. The foster family is able to tell you whether or not the dog you choose is the perfect fit for your family or lifestyle. And if it’s a puppy you are looking to get, more than likely they have momma there with the pups or had the mommy in foster care before she went on to her furever home. 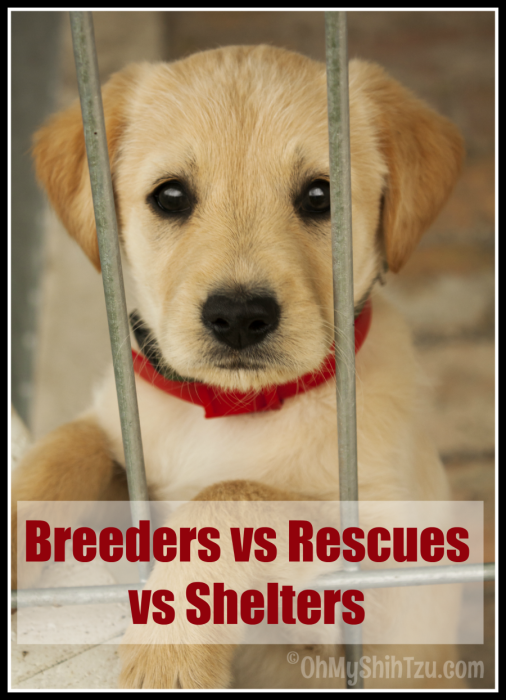 There are also bred specific rescues that take in only a specific bred of dogs. They are wonderful and many are supported by the local AKC breed clubs. 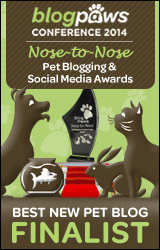 I find these rescues great resources if you’ve never owned a specific breed. They can tell you everything you need to know about the breed from grooming requirements, training and general personalities. Now let me get this straight right here. When I mean a breeder I mean an AKC Breeder of Merit, not someone who has listed purebred puppy’s for sale in your local newspaper. Quality breeders have only 1 or 2 litters per year. Their goal is to perfect the breed, not breed dog after dog all for the quest for more money. They show their dogs in either AKC conformation dog shows (think Westminster) , agility events, field trials or other sporting events tailored to the breed. They breed for quality, temperament and ability of the breed. When purchasing from a breeder be ready to fill out a questionnaire or application for the puppy. And don’t be surprised when you are asked to sign a contract stating you are being sold a puppy with limited registration. This means that you are agreeing to have the puppy neutered/spayed. After all, you don’t need to let your dog have a litter just because you want him or her to experience it. If you are wondering why I decided to turn to a breeder this time it’s very easy to explain. As a person loves participating in dog sports, it was very important that my next dog be sound. Meaning, no luxating patellas, no hip dysplasia and no vertebrae issues, etc, all of which Shih Tzus can be prone to. When I rescued Katie I was hoping she would be my agility dog, but after a walk one night we unfortunately discovered she had 2 congenital degenerative discs after an emergency visit to the ER. She was in a lot of pain and my veterinarian highly suggested I do not do agility with her or we would be looking at an early surgery. Riley has slight hip dysplasia and luxating patellas, so I really keep my eye on her. I also wanted to have the ability to show my dog in conformation. If I didn’t have specific sports goals for my dog I would have been just as happy going to a rescue or shelter for my next Shih Tzu. So next time you plan on getting a new puppy or dog, take a look around at your local rescues and shelters. Thank you for this informative post! I didn’t know the differences between the three ways to rescue a dog. Thanks for sharing this info. Good luck with the rest of the challenge.